Sally Creed graduated from Louisiana State University with a Bachelor's Degree, then earned her Master's Degree in Psychology from Houston Baptist University. She has been a professional counselor since 1992. Her specialty is working with adults, teenagers, adolescents and children as young as 3. Sally accepts cash, checks, or credit cards for her services. 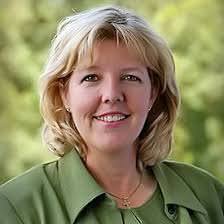 Sally is a provider with Blue Cross Blue Shield (BCBS) network, Humana, LifeServices EAP and Interface EAP. She can accept your co-pays for BCBS insurance and Humana. For all other insurance companies, Sally can file your claims electronically for you, and those companies will mail any reimbursement directly to you. Payments are made to Sally at the time of service. Professional therapeutic services are combined with Christian values and scriptural truths. I work with clients from all backgrounds, even those who are not members of a church. I am solution focused and offer hope that people can change. © 2018 LCCC, LLC. We reserve the rights to all content including articles, ideas and techniques communicated on this site.